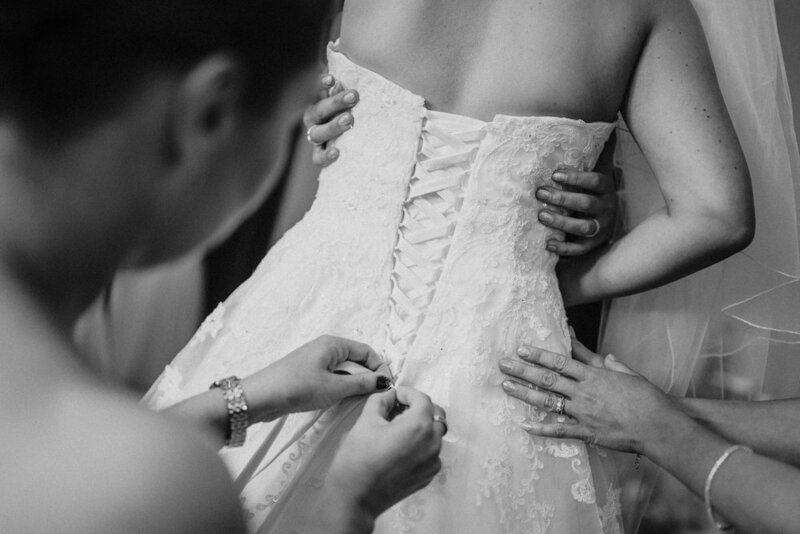 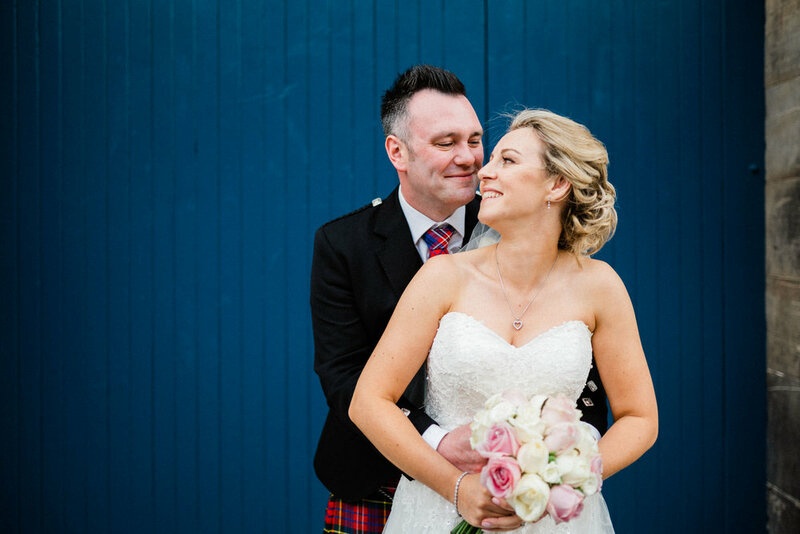 Once more, I was back to Edinburgh to photograph another wedding. 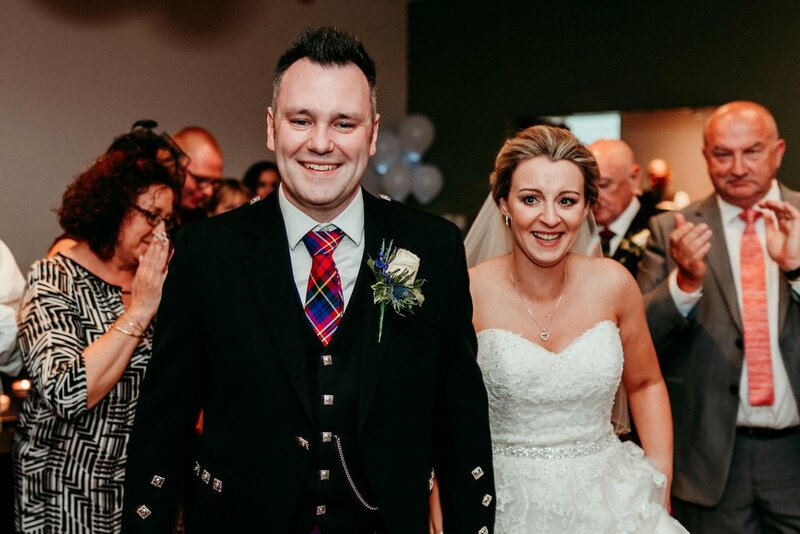 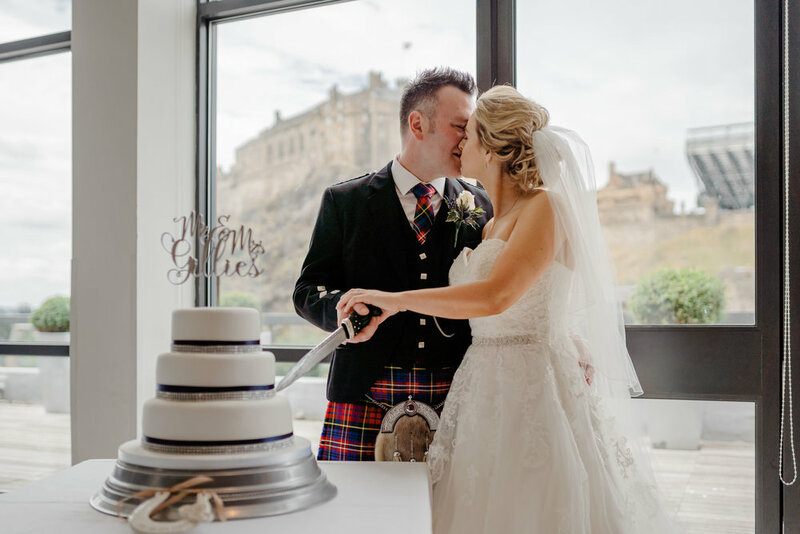 This time, it was the lovely Andrew and Aileen who tied the knot in a beautiful ceremony at Edinburgh Apex Hotel on the Grassmarket. 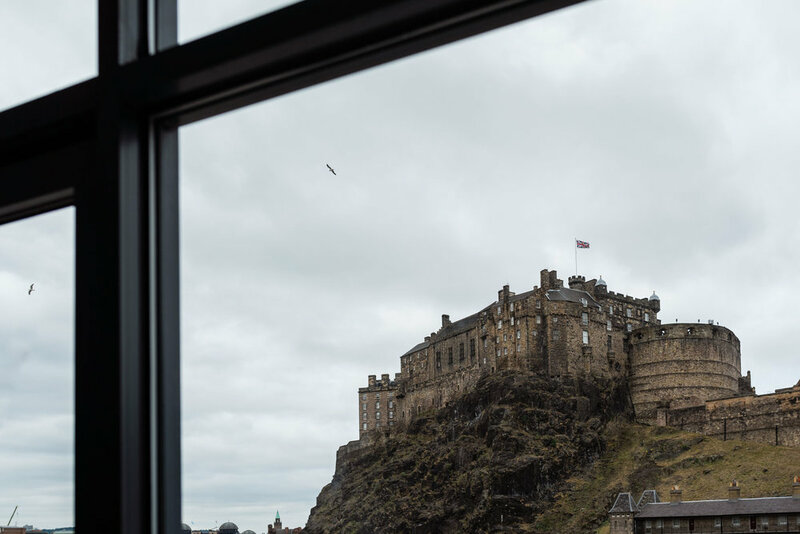 The Sun was shining in the East and the streets busy as tourists soaked up some culture from a variety of market stalls on offer. 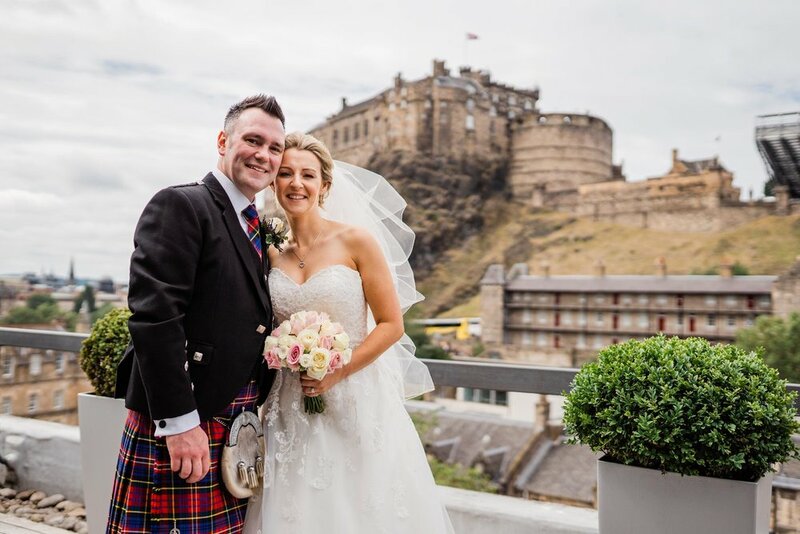 Andrew and Aileen were looking for a venue which offered them views of the stunning Edinburgh Castle and this didn’t disappoint. 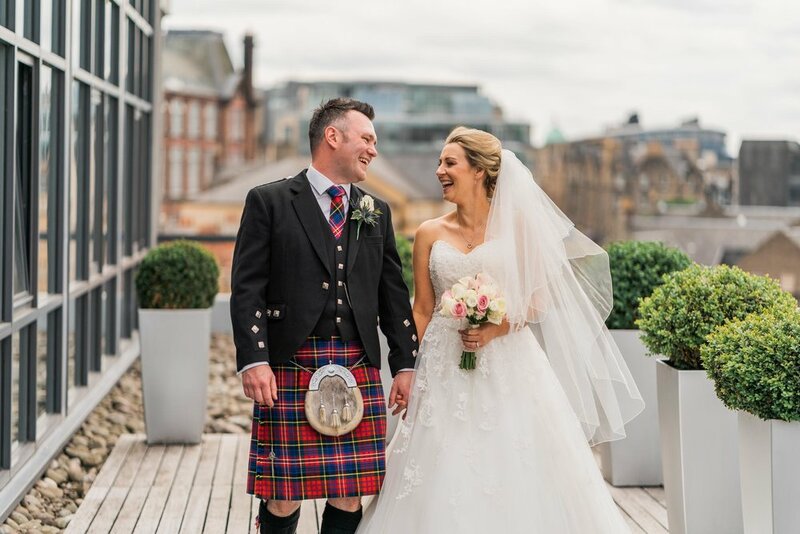 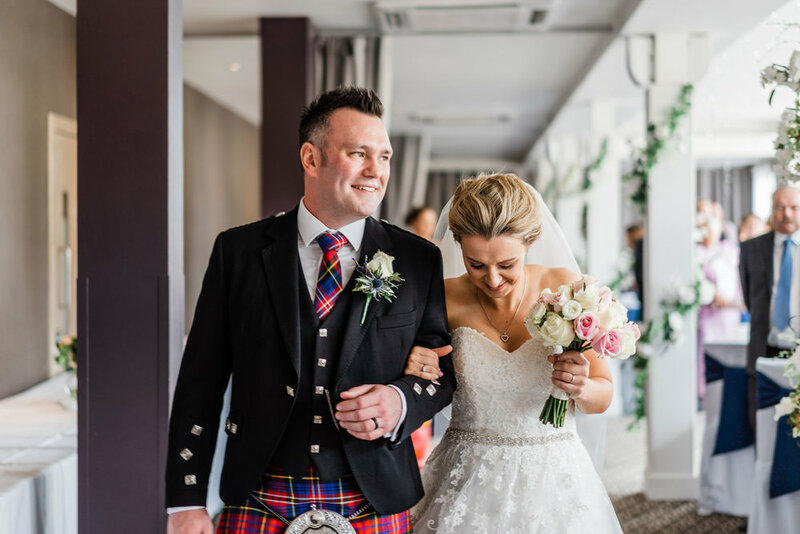 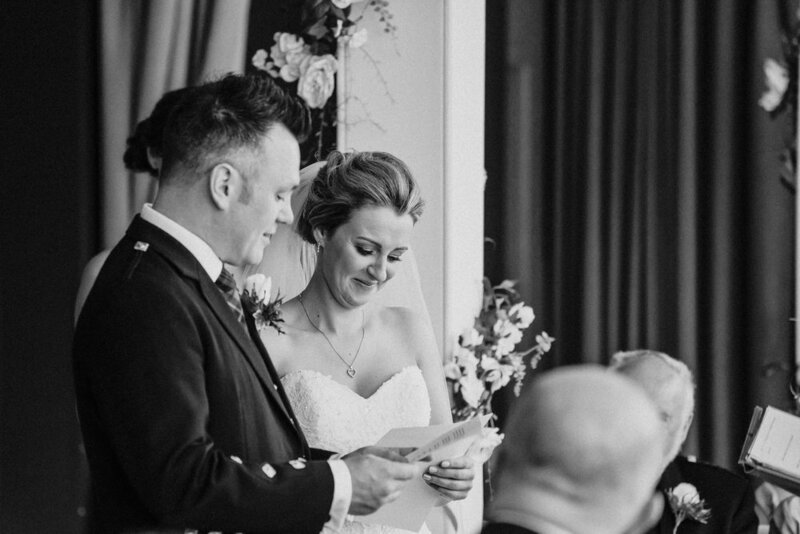 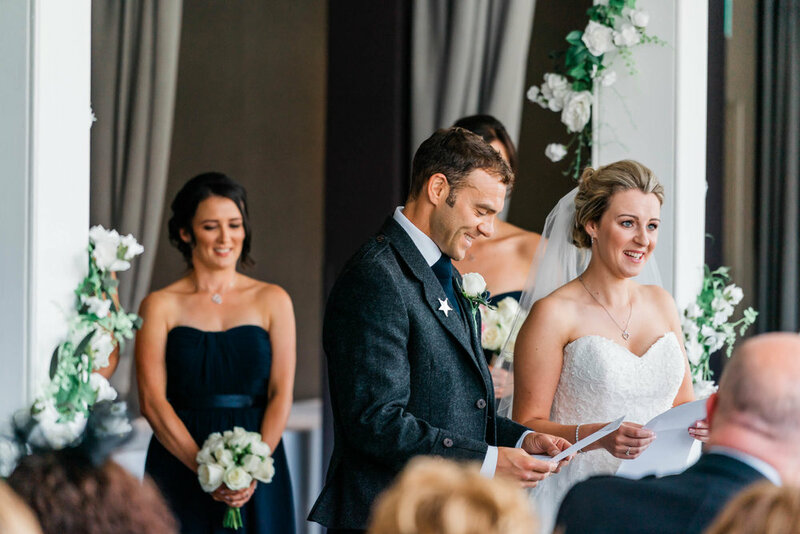 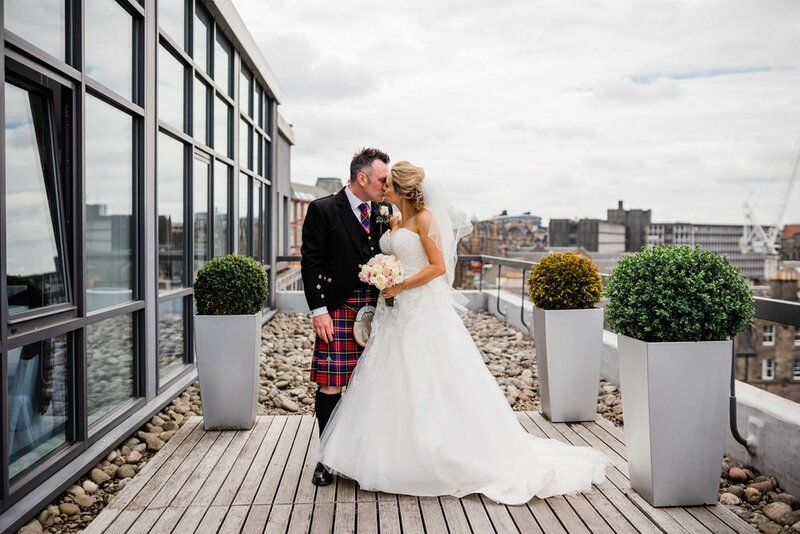 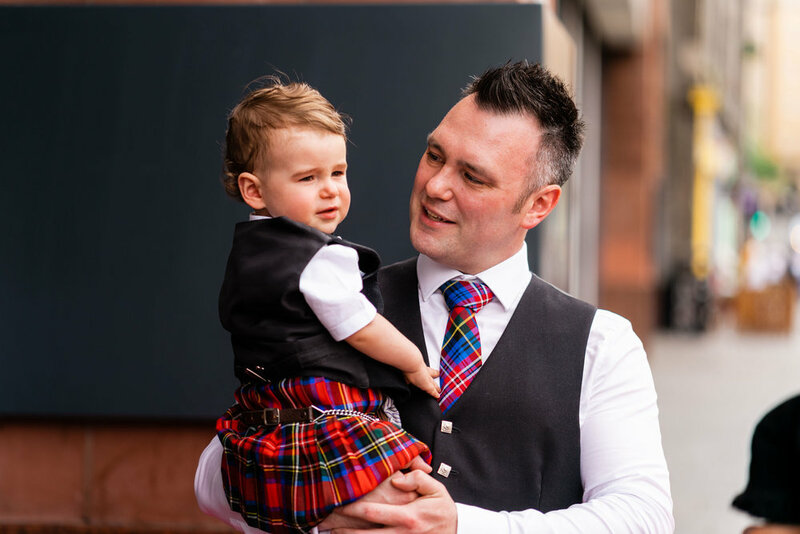 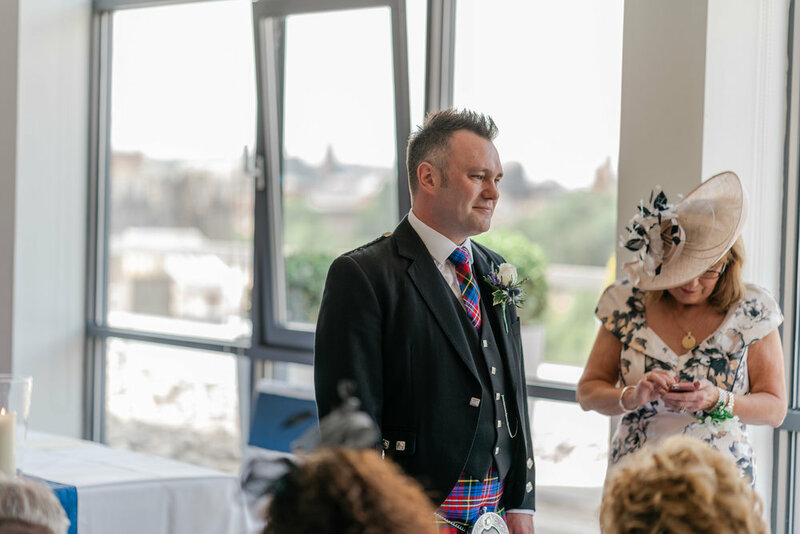 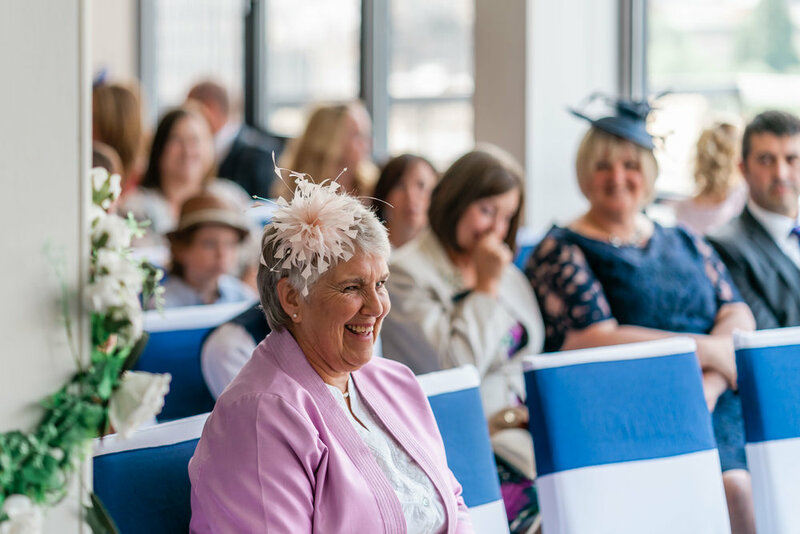 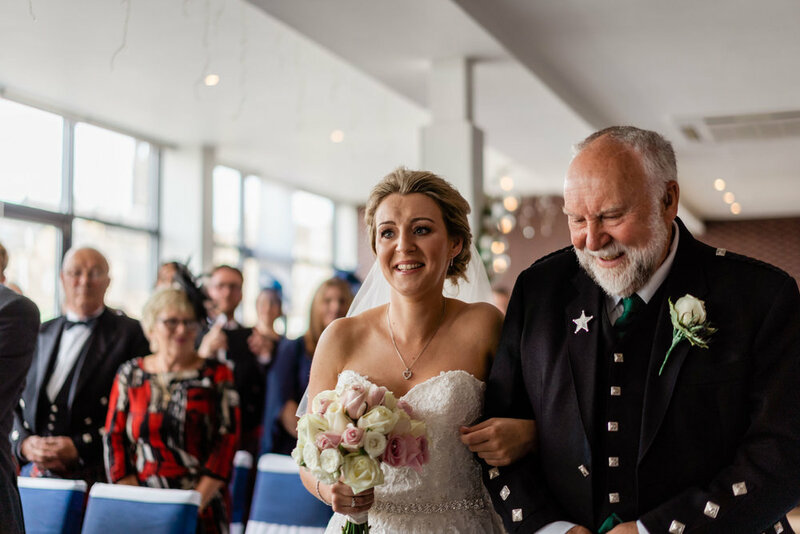 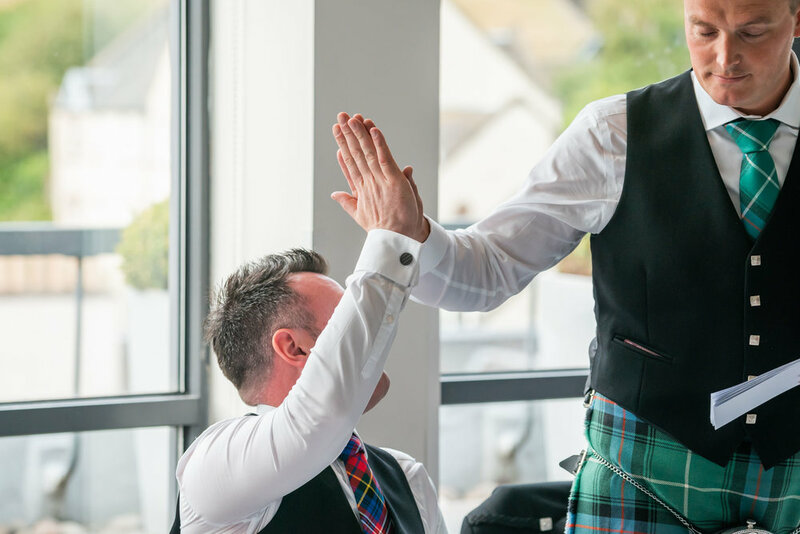 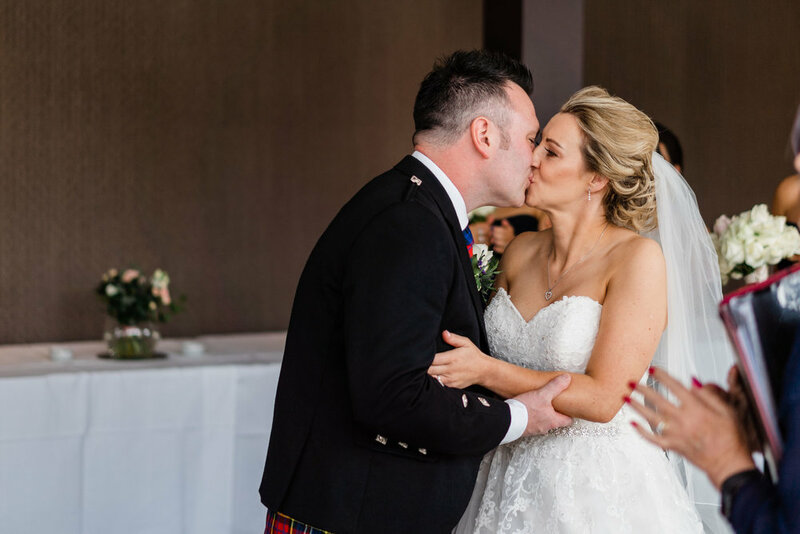 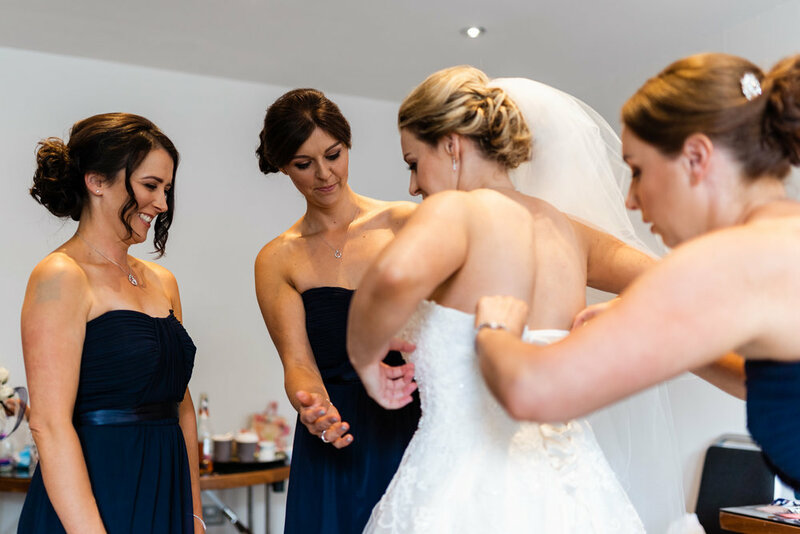 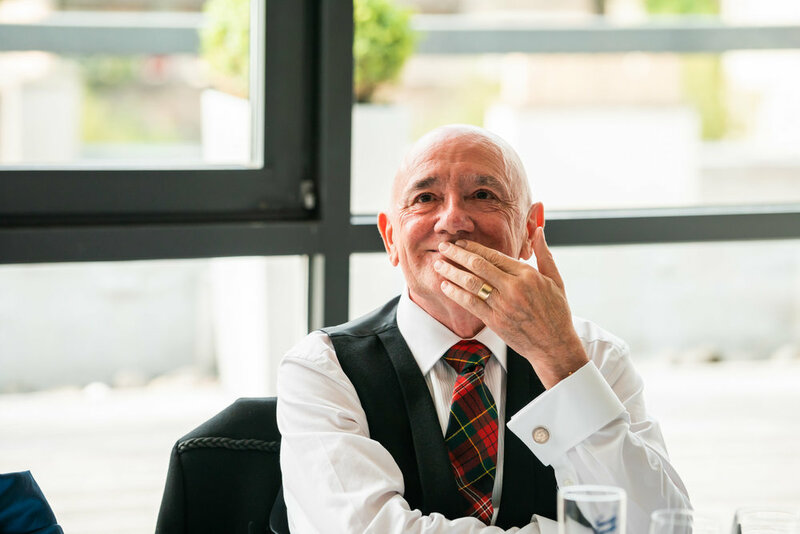 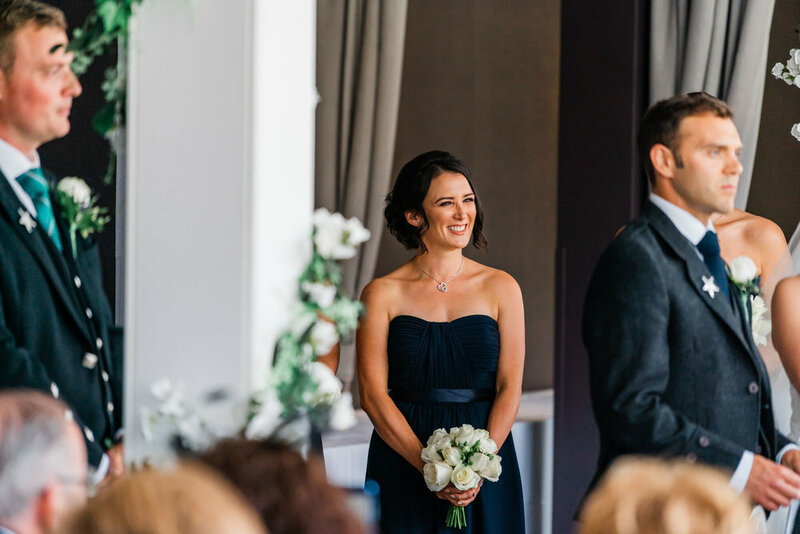 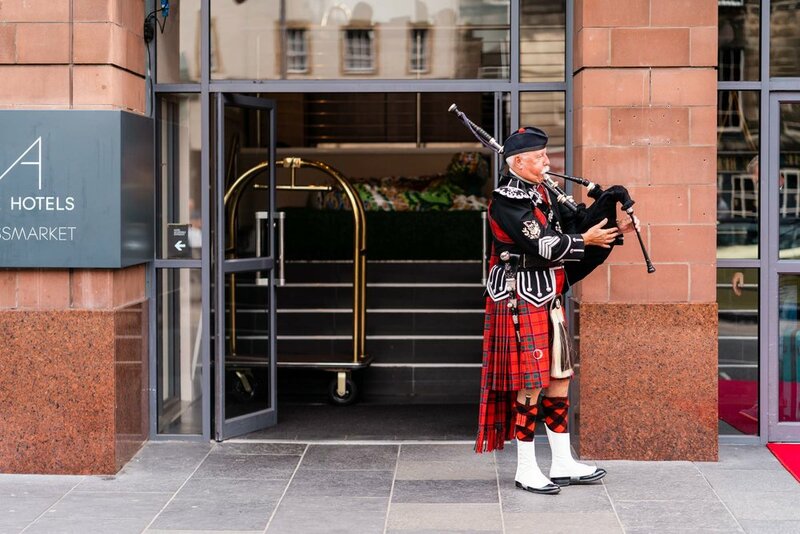 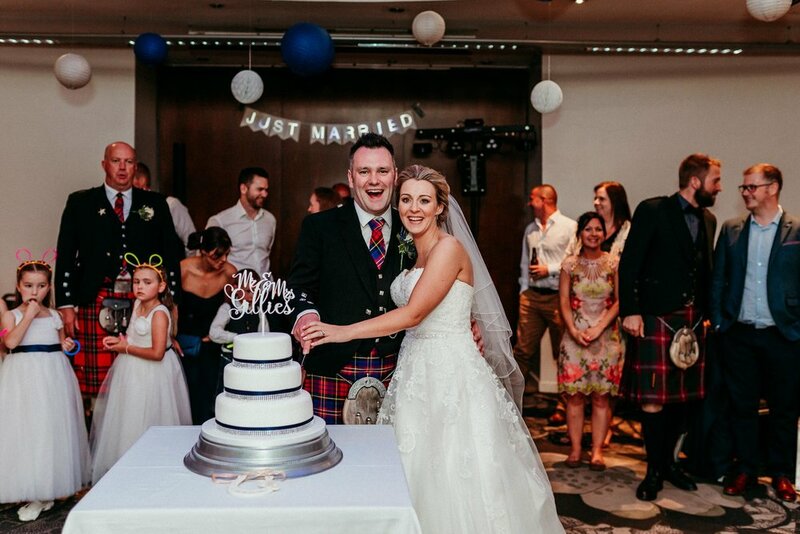 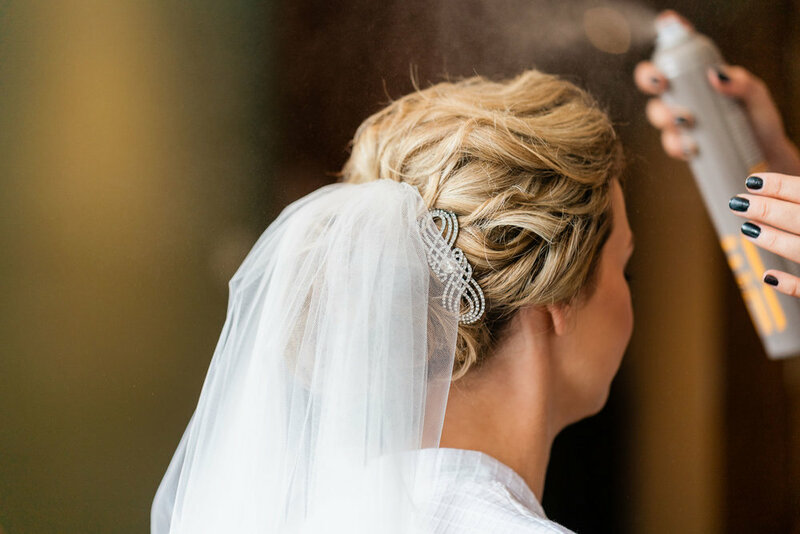 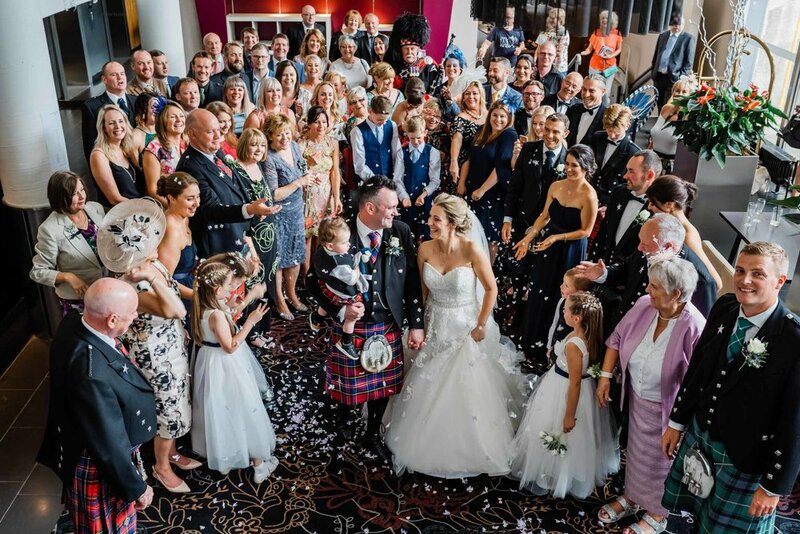 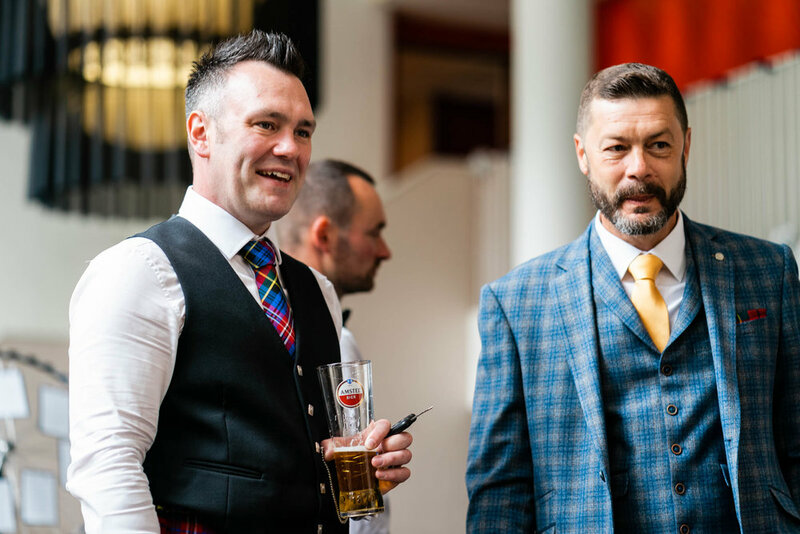 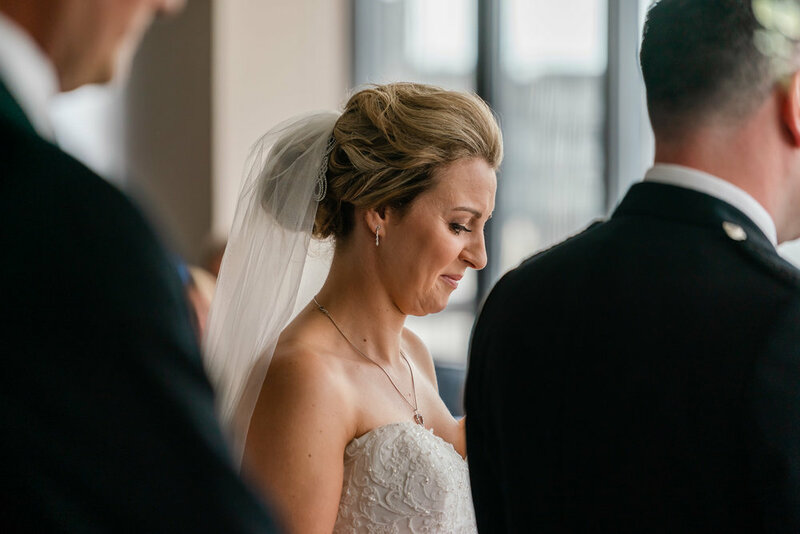 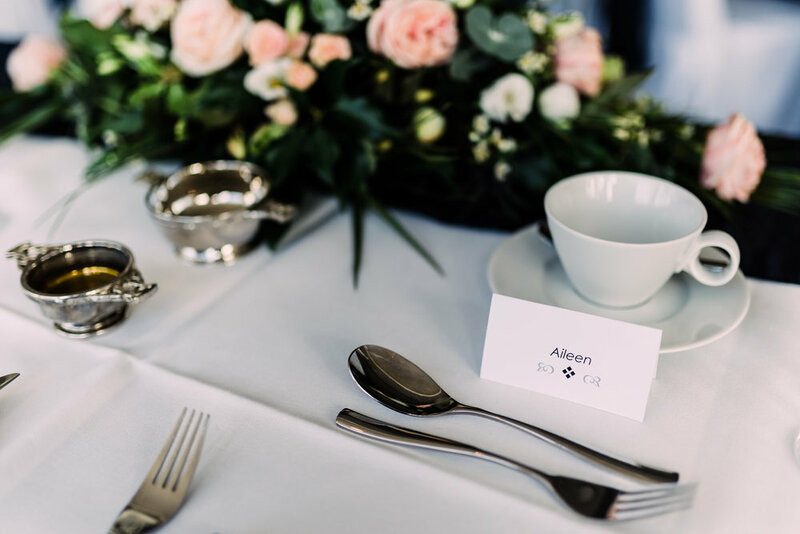 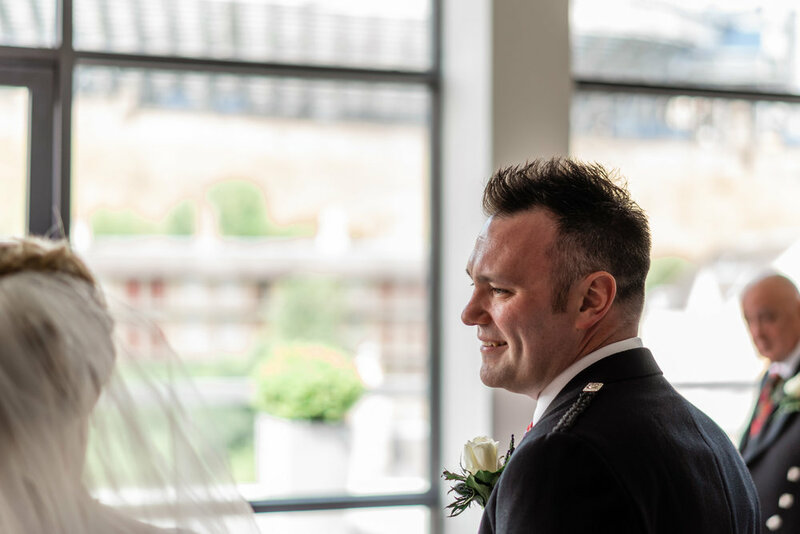 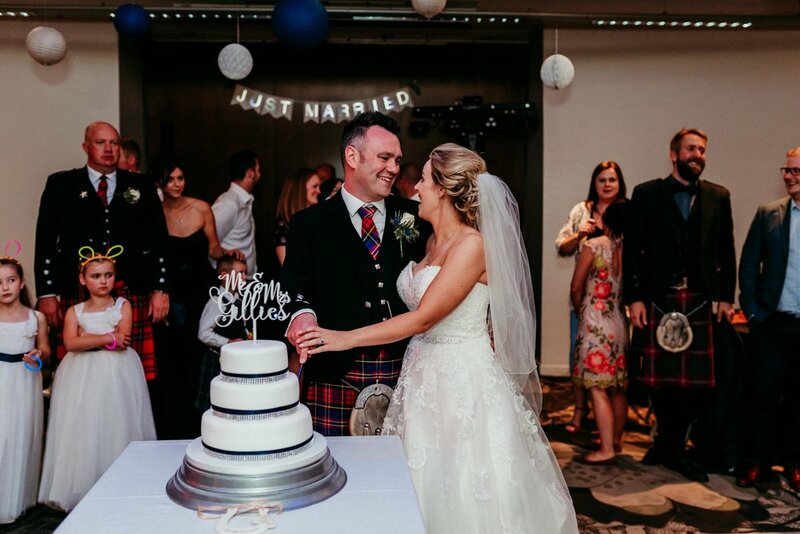 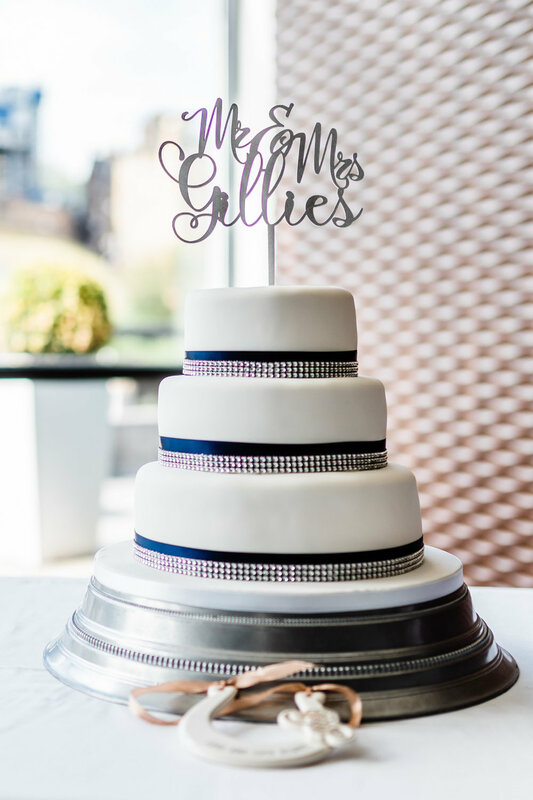 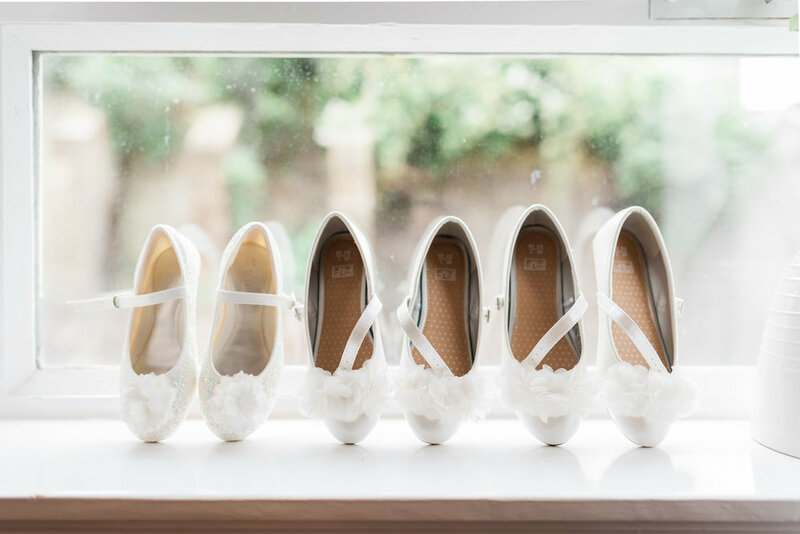 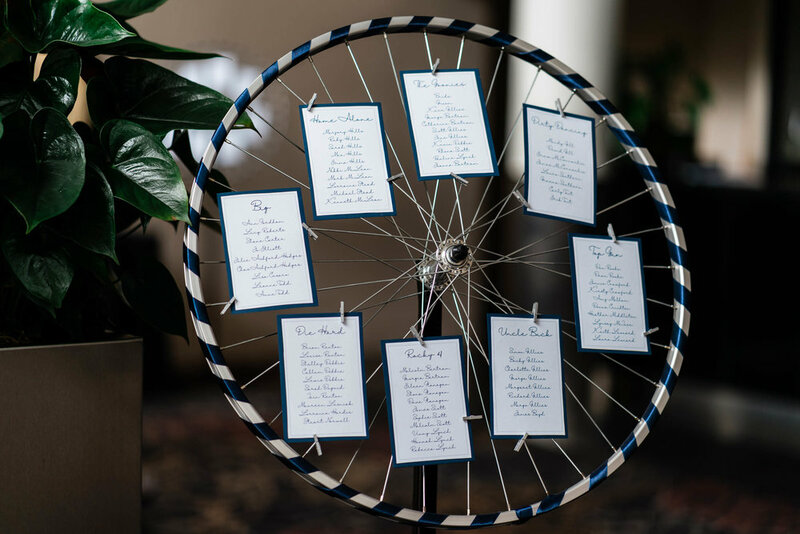 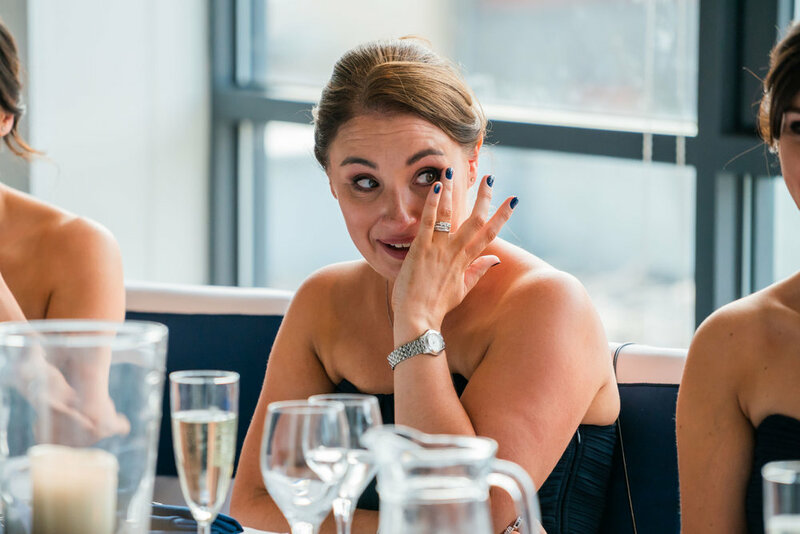 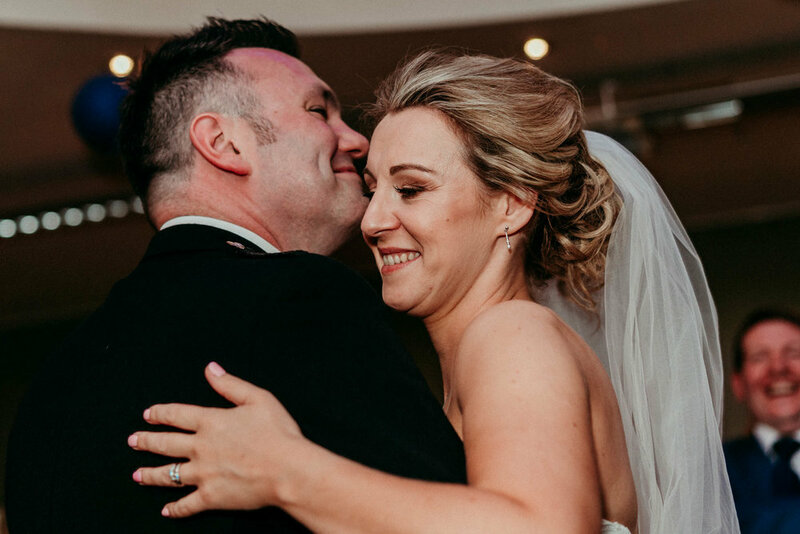 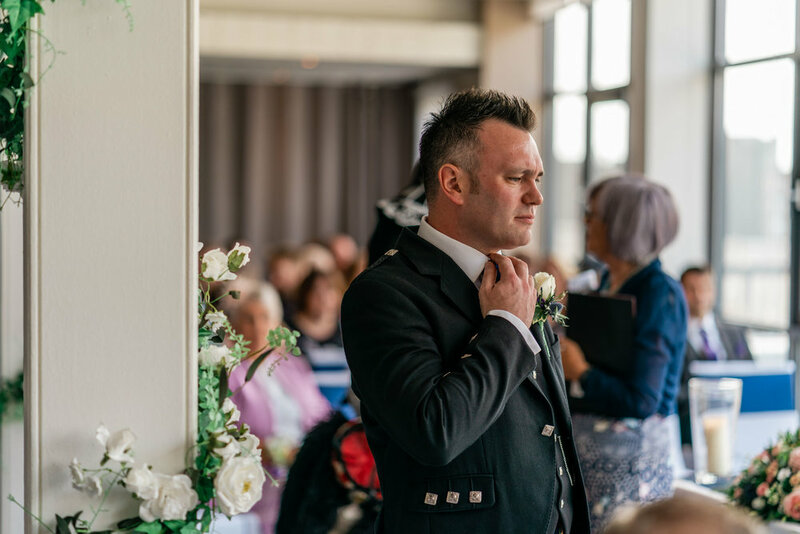 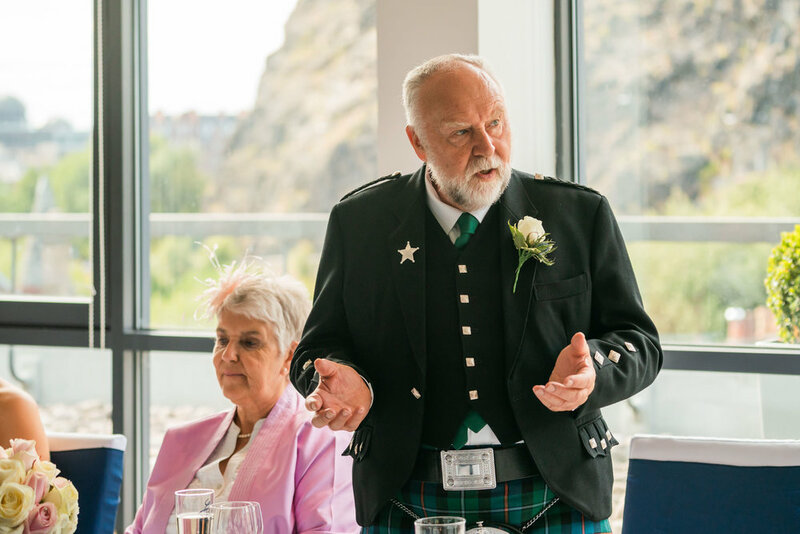 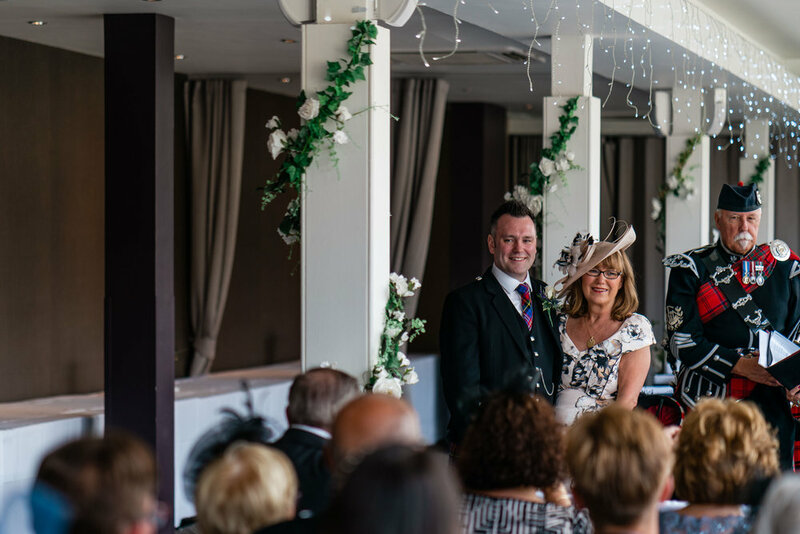 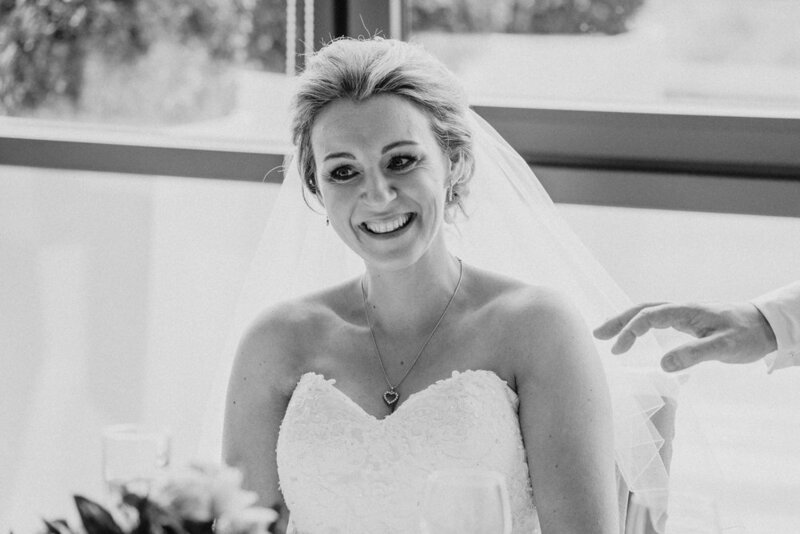 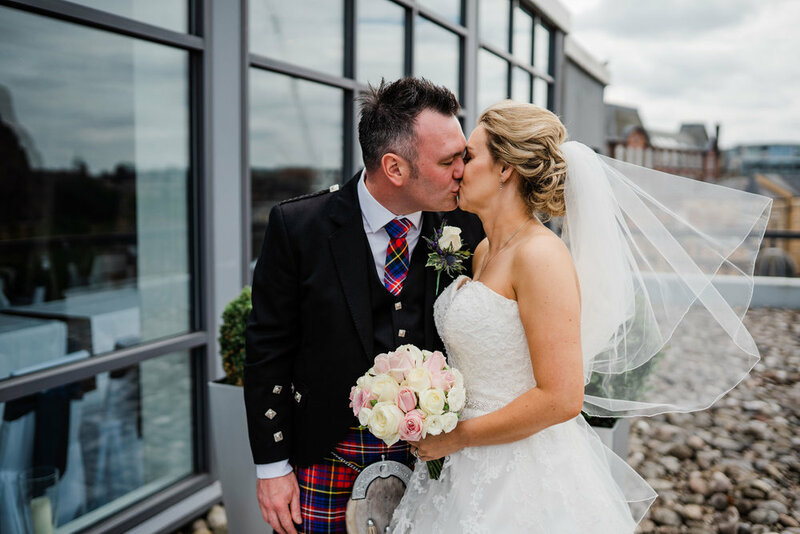 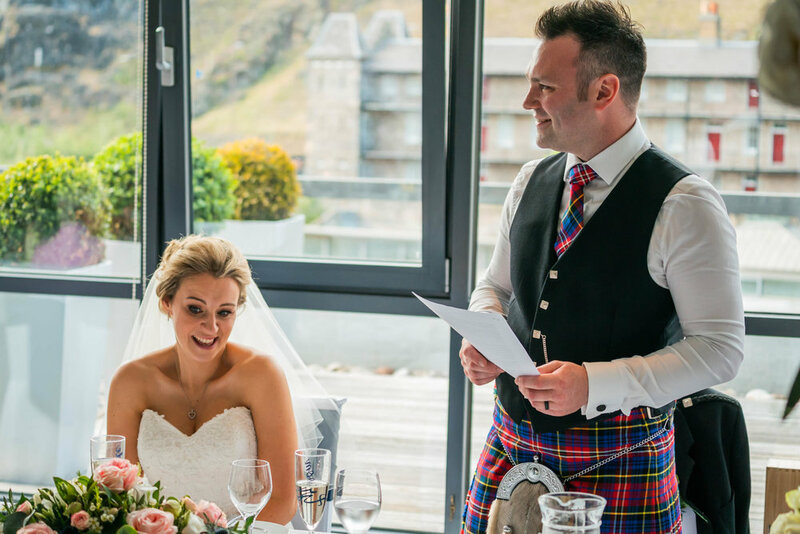 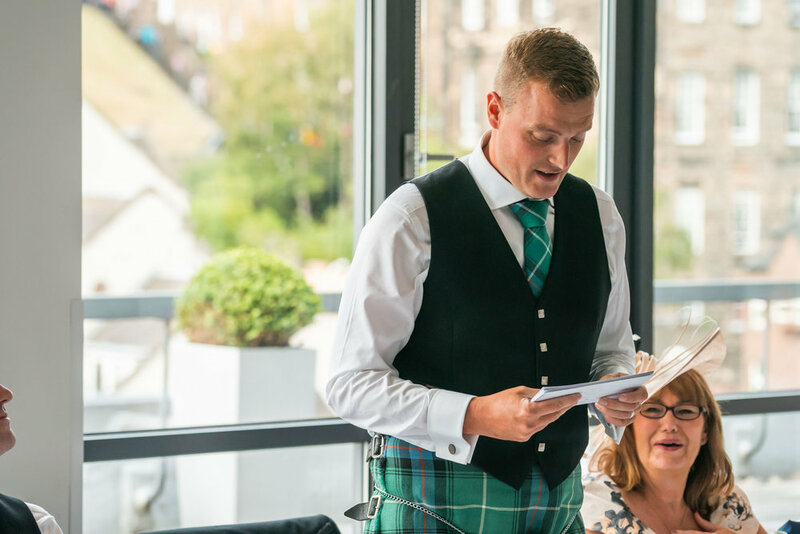 With its fabulous rooftop terrace, the hotel looks right over Edinburgh’s most famous landmark and provided a beautiful backdrop for this lovely wedding. 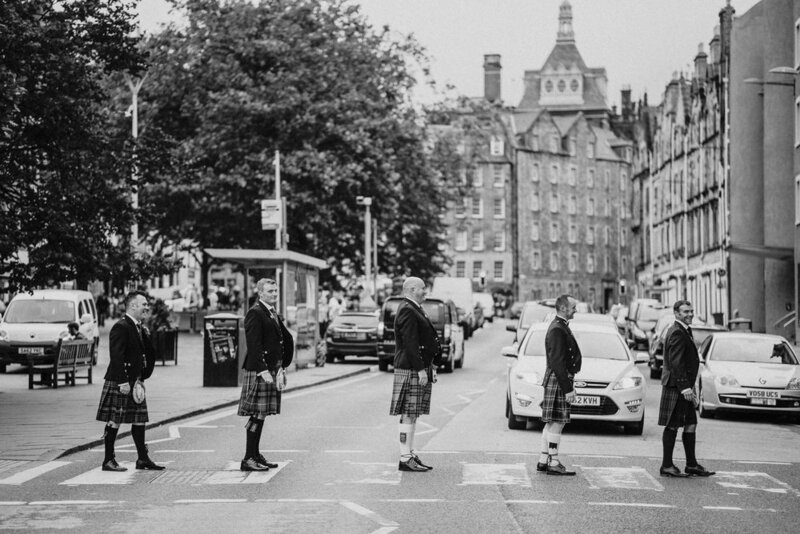 The busy Grassmarket was perfect for an city themed couple shoot and we had a lot of fun before the newlyweds headed back inside to each their wedding breakfast. 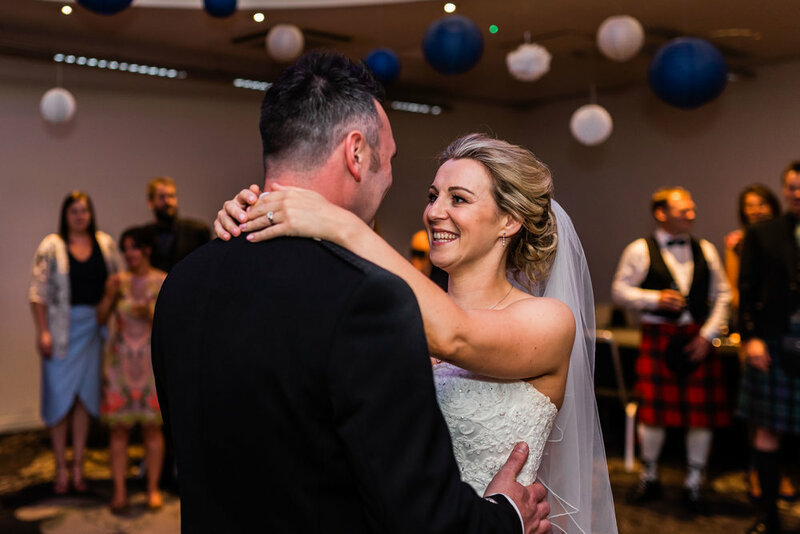 After a lovely meal, Aileen & Andrew had organised a silent disco to follow their first dance which was a load of fun! 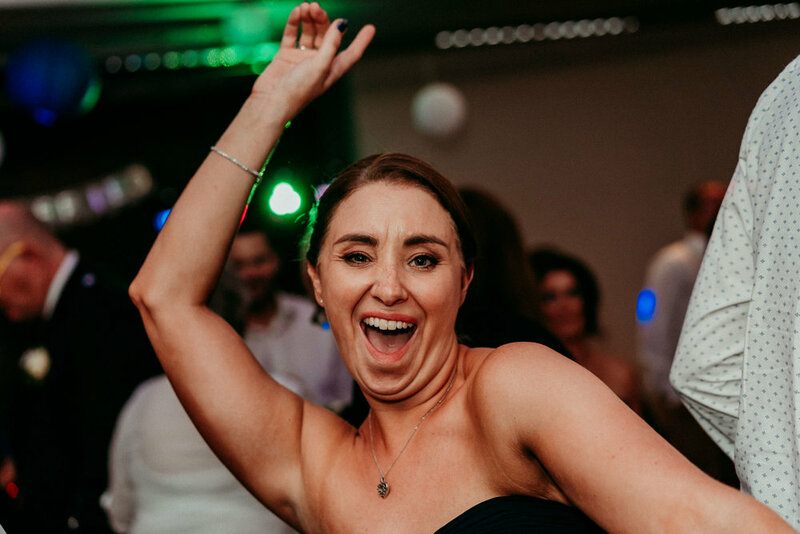 It was clear everyone had an absolute ball and I was delighted to capture some of the action.